Cooperative networks of unmanned aerial vehicles (UAV) offer interesting advantages such as increased efficiency and improved accuracy when compared with independently operating UAVs in most applications like remote sensing, mapping, surveillance, exploration, search and rescue, situational awareness, disaster management. However, the quality of the products derived using UAV data is very much dependent on the accuracy with which a UAV can be localized. Although cooperative localization has been shown to improve the localization accuracy of all the UAVs in a network even in global navigation satellite system (GNSS) challenging environments, not all UAVs in a network can achieve equal navigational performance. The objective of this paper is to analyze the various parameters that affect the performance of UAVs in a cooperative network. This paper derives the theoretical performance bound of the localization accuracy that can be achieved by any UAV in the network. 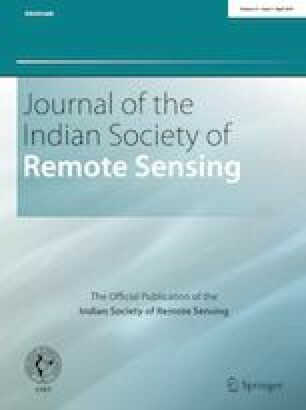 This performance bound is derived using posterior Cramér Rao bound and is further used to analyze the effects of various parameters such as network geometry and connectivity, quality of available measurements and the availability of GNSS in the network. Through this analysis, the limitations and the benefits of a cooperative UAV swarm for any application (such as mapping or remote sensing) are presented. Gabela, J., Goel, S., Kealy, A., Hedley, M., Moran, B., & Williams, S. (2018). Cramér Rao bound analysis for cooperative positioning in intelligent transportation systems. In Proceedings of the international global navigation satellite systems (IGNSS) conference, February 7–9, 2018, Sydney, Australia. Available at: http://www.ignss2018.unsw.edu.au/sites/ignss2018/files/u80/Papers/IGNSS2018_paper_21.pdf. Accessed 28 October 2018.